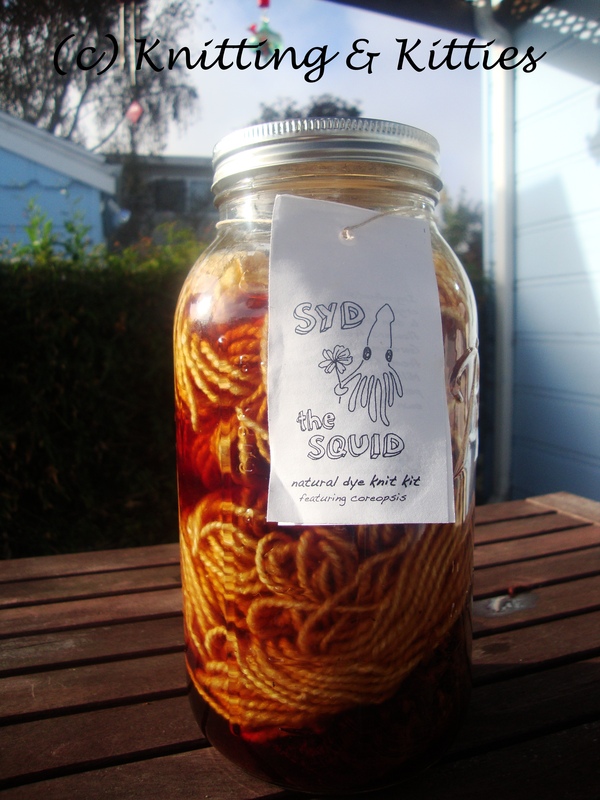 Remember the Syd the Squid dye kit the fabulous Mr Liu got me for my birthday? I decided I wanted to use the summer dying instructions, so I was waiting for a warm day to start. Then it started to look like summer was never going to show it’s face, so I decided sunny was good enough. The first step was to let the flower mix dye the water. 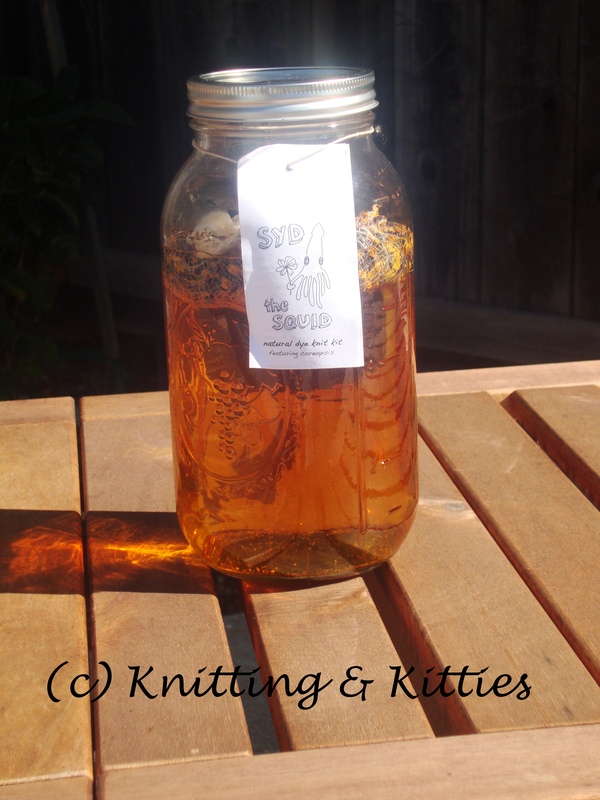 Just like making sun tea. The next step (for me) was to completely forget it was in the backyard for about a week since it wasn’t visible from the kitchen window. Once Mr Liu reminded me it was there, I moved it onto the deck where I could see it and added yarn. And then I promptly forgot about it for about week again until Mr Liu asked if all of the yarn was supposed to be submerged. I went out to check on it and sure enough, there was a lock of pure white sticking up out of the dye water. I shoved it back down and let it sit for another few days. 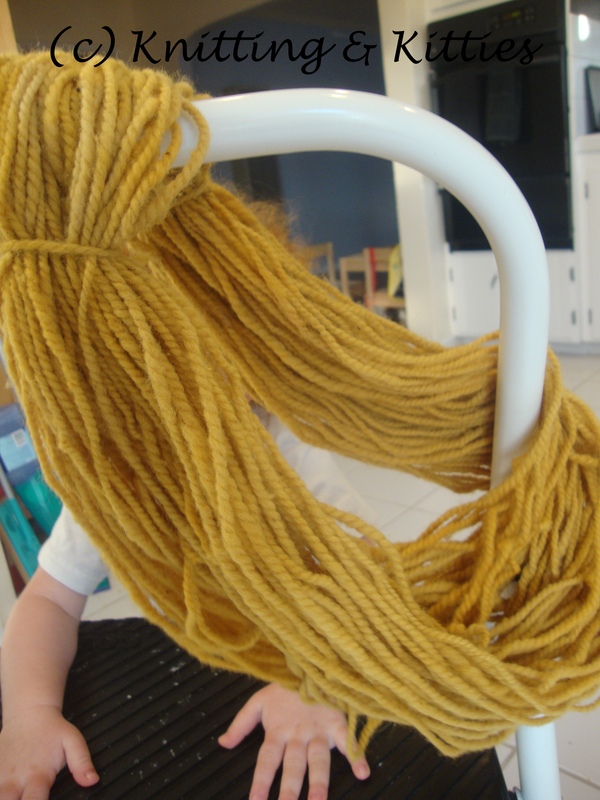 Then I pulled the yarn out of the dye and let it dry a bit. 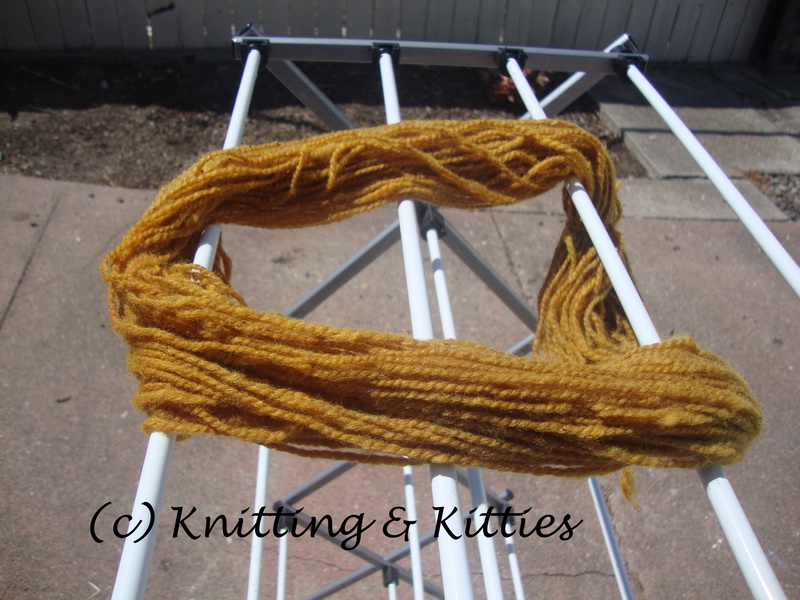 So now I have freshly dyed, if a little unevenly dyed,yarn. 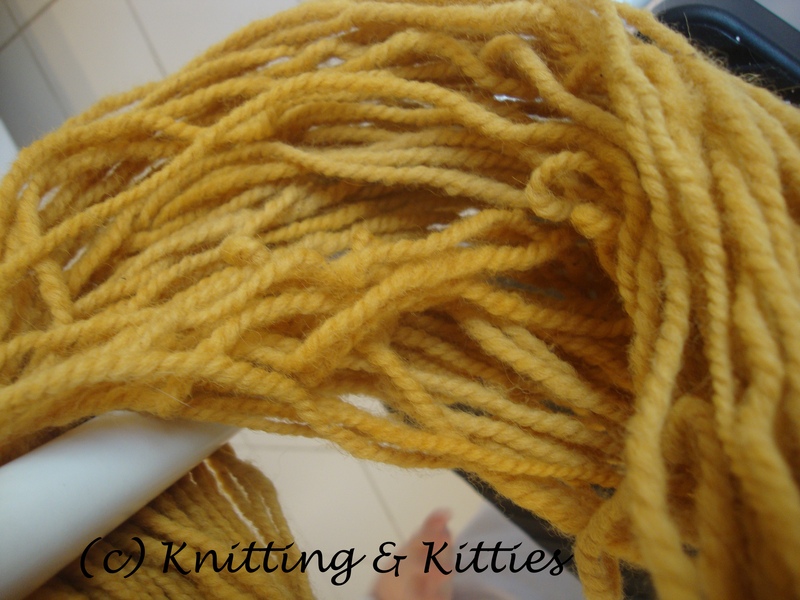 It’s lovely and the yarn has kept it’s undyed softness and bounce. I’m looking forward to knitting up Syd. Which, judging from my TO KNIT list, will be sometime next February. I need to learn to knit faster. Or maybe sleep less. 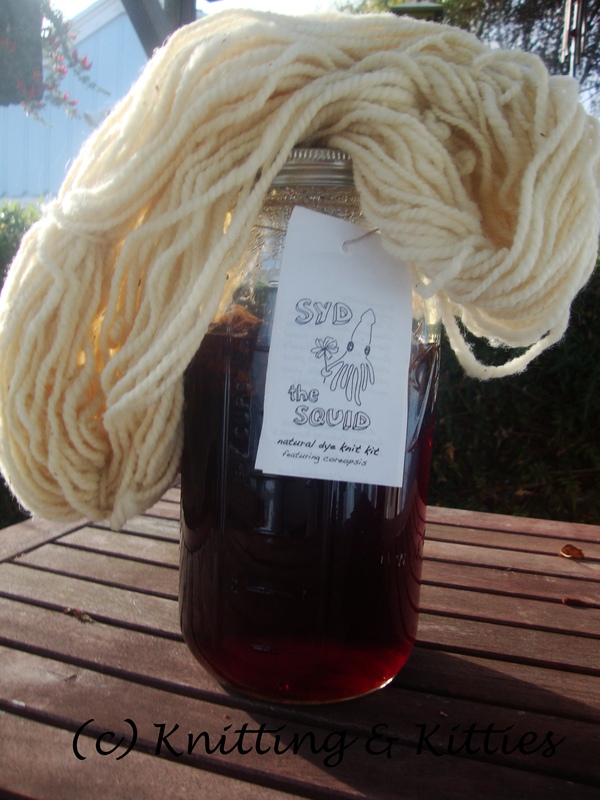 This entry was posted in Dye, Yarn. Bookmark the permalink. I completely understand the trade-off between knitting and sleeping.